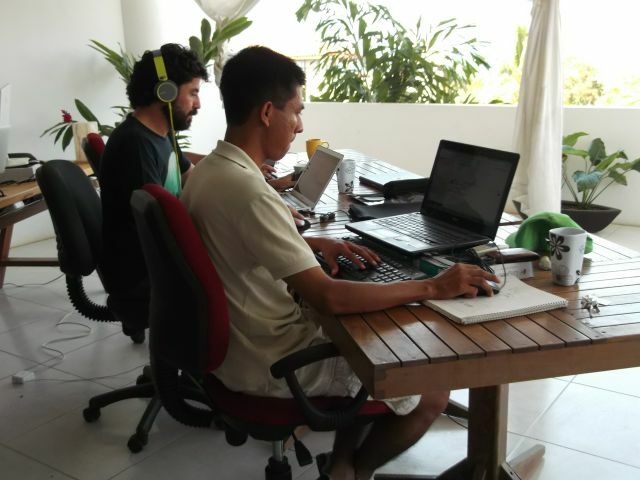 From a large office in the Punta overlooking Zicatela and the Bahía Principal, people are busy coding and creating computer programs for clients all over the world. The office belongs to Copyleft a web development company with offices in Oslo, Mexico City, Puerto Escondido and Cebu in the Philippines. While some companies use the Internet to outsource work to other countries, the Copyleft model is to expand locally as a group of small enterprises covering everything from site development to hosting to new apps and e-commerce. 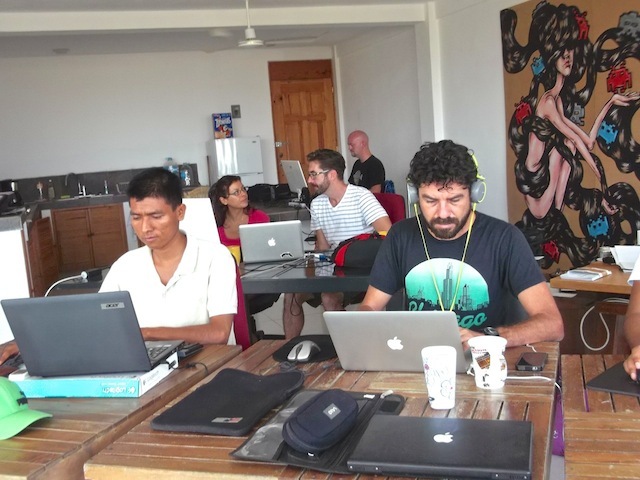 When Copyleft Mexico founder Leo Ustkot opened the Puerto office three years ago his vision was to attract talented programmers who, given the opportunity, would rather live in Puerto than Mexico City or Norway. He also wanted to provide jobs for the town’s professionals and experience for information science students from the local universities. Salomón Martínez is a case in point. He joined the company as a software developer just before graduating from UMAR. Diego Arce, on the hand, had worked for ten years in Mexico City developing and implementing programs for businesses, before opening the legendary restaurant, Guadua in Brisas de Zicatela. 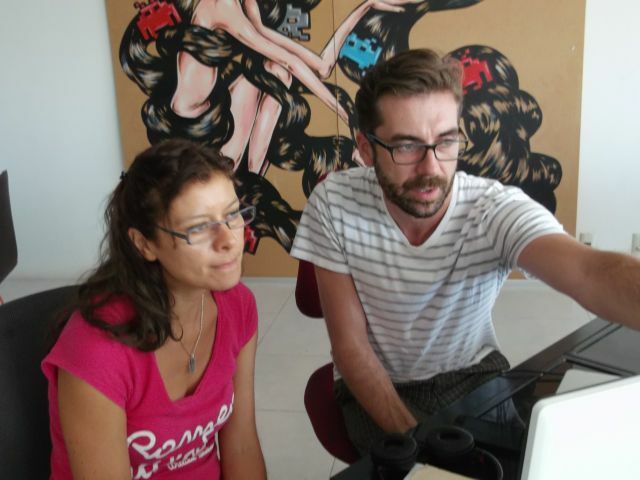 Guadua closed a year ago, but Diego is still here working on Pixzelle, the app development division of Copyleft. Christian Malerbakken was working in Oslo when he was offered a position here. He had spent part of his childhood in Mexico City but had never been to Puerto. He did not hesitate. Now, as manager of servers, networks, and customer service for the Host 1 division of Copyleft, he handles enormous amounts of information from his tropical perch. Ana Paz thought she had left a career in graphic design behind her when she moved from Mexico City to Puerto to devote herself to her music. As things turned out, the music was not enough to sustain her, and now she is at Copyleft and also doing freelance graphic design for local hotels and restaurants. As Puerto grows so will opportunities for systems development for the hospitality industry. But there is a need for investment in infrastructure to improve the speed and stability of the web, before Puerto can achieve its high tech potential.